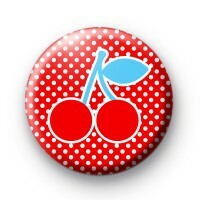 This bright red Cherry badge is super sweet and had that trendy kitsch, retro feel to it. It is bold & bright and would look cool pinned to your jacket or bag. All our badges are 25mm (1 inch) and handmade in Cornwall by us.